Tesla and SpaceX CEO Elon Musk, who this weekend announced he had directed a team of engineers to build a “tiny, kid-size submarine” (really more of an air-filled metal box) to help extract the 12 boys and coach of Thai soccer team Wild Boars stranded in the flooded Tham Luang cave complex for weeks, is apparently on site in northern Thailand. According to a series of Instagram and Twitter posts, Musk has in fact personally entered the cave system to deliver the completed capsule. “Thailand is so beautiful,” he added. Reaching the stranded team via the deluged cave is not easy: 38-year-old former Royal Thai Navy special operations diver Saman Gunan ran out of oxygen and died during a mission to resupply the route with oxygen canisters on Friday. 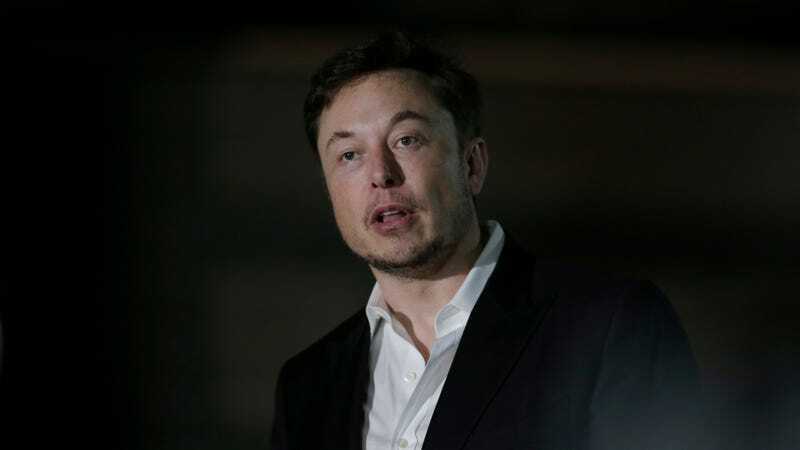 However, since eight of the boys have now been rescued by divers who equipped them with face masks and escorted them through the partially flooded, 2.5-mile (four kilometer) passageway, it’s not clear Thai authorities have any incentive to gamble on Musk’s alternative solution. On Monday, former Chiang Rai province governor Narongsak Osottanakorn told reporters that having successfully extracted the eight boys in two separate operations, authorities believe they can shave up to two hours off the next wave of extractions.